Rinse the shark steaks and trim off any skin. Mix together the soy sauce, Worcestershire sauce, onion powder, garlic salt, thyme, black pepper, and chili powder in a small bowl to form a paste. 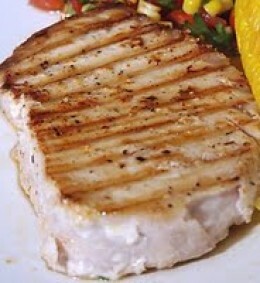 Spread a thin layer of the soy sauce mixture on both sides of each shark steak.